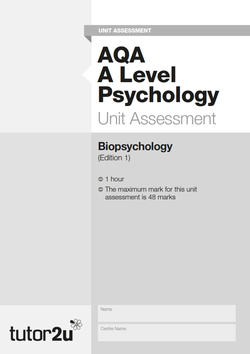 This Unit Assessment provides an exam-style and exam-standard practice exam paper for Biopsychology (Years 1 & 2) for AQA A Level Psychology. Please Note: This resource will also be provided to delegates attending our Teaching Tough Topics CPD event. This Unit Assessment contains a 48 mark exam-standard practice paper for the Biopsychology topic. 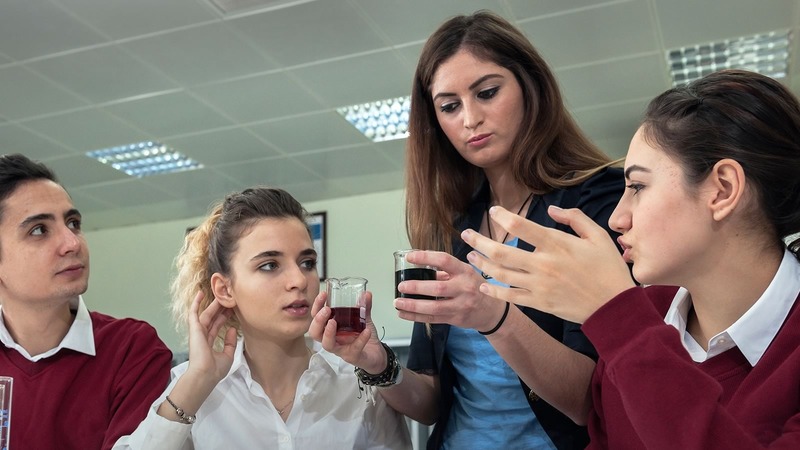 The Unit Assessment has been written and checked by experienced examiners to provide a more thorough coverage of the content, while mirroring the assessment objective weighting found in the real exam. These unit assessments make an ideal end-of-unit test which can be completed in one hour. Furthermore, each Unit Assessment comes with an in-depth mark scheme. 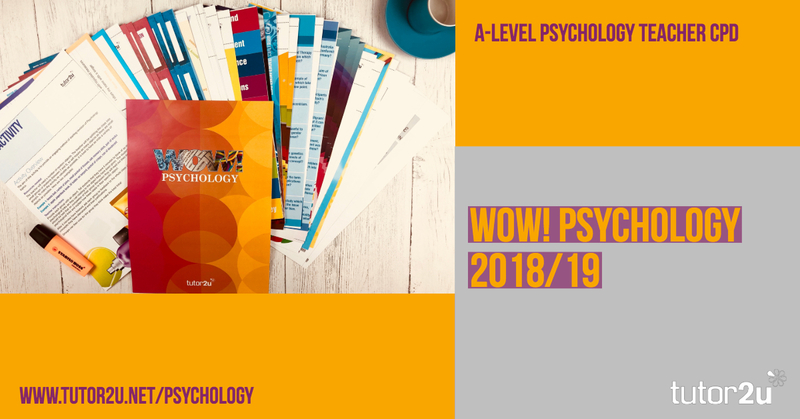 Join 1000s of fellow Psychology teachers and students all getting the tutor2u Psychology team's latest resources and support delivered fresh in their inbox every morning. You can also follow @tutor2uPsych on Twitter, subscribe to our YouTube channel, or join our popular Facebook Groups. Essays Matter. Full Stop. Five Reasons to Order the AQA A Level Psychology Topic Essays. Stress: What Is It Good For? Absolutely Nothing! WOW! 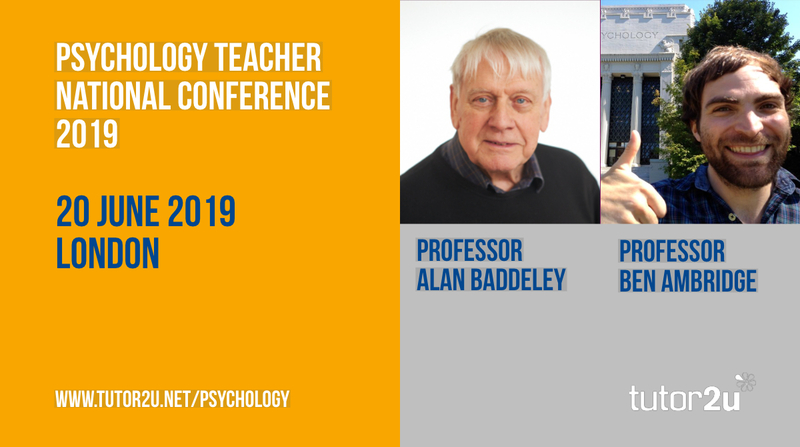 Psychology 2019 features a brand new collection of teaching & learning resources, approaches and inspiration for ALL A-Level Psychology teachers!